The best Android games can be so interesting that you want to continue playing them on your PC. There are a few different options if you feel the need to play Android games on a Windows PC. 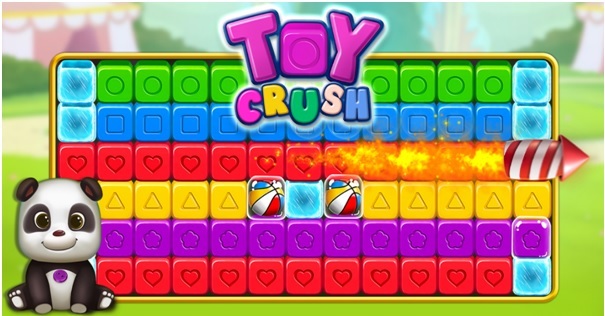 Even if cube breaking games like Toy Crush are designed to provide entertainment especially attractive for mobile phones, they can certainly provide the same entertainment on a regular computer. Make sure to pick an emulator or online solution that is easy to use so that you don’t have to spend hours on configuration. One of my favorite game is Toy Crush, and besides my android phone, I want to play it on my PC too. You can use free emulators or online services that will make your favorite Android game available on your PC. Some say that PC gaming is better than console gaming and if you like to see your games on a bigger screen, it might beat the experience on your smartphone. Here are some methods that you should be able to use. This is an Android emulator that you can use for free. You install the Nox App Player and get virtual Android environment on your PC. You use your mouse to tap and swipe instead of swiping on the screen with your finger. It takes a little bit of getting used to but you will soon get the hang of it. One of the most popular Android emulators for PC is BlueStacks. This is a software that you can install on your computer. When the installation is done, you can use the program as a separate window that will let you play Android games. You can download games from the Google Play Store just like you would with your smartphone. Using this program, you can also install other apps like Whatsapp on your PC which is pretty cool. Another well known Android emulator is Android SDK. This is an emulator developed by Google. If you can figure out how to configure SDK, it might be a good choice. However, some say that it runs too slowly for the Android games to be as fun on a PC as they are on a mobile phone. Remix OS as the name suggests is an operating system based on Android. The Remix OS can be installed on a USB pen drive or you can install it on your Windows PC as a dual boot. Remix OS lets you sideload your favorite Android games and you can play them on a Windows PC. For more info check out the Remix OS website. So these were some of the options that can let you install and play your favorite Android games on a Windows PC. If you are looking for simple android app player then check out the nox player or the BlueStacks app player. But if you want something like Android OS on a Windows PC then install Remix OS and start using your PC as another android device to play games or install another app. If you liked the article then please share it or if you have any other options regarding android PC game playing then do let us know via comments.